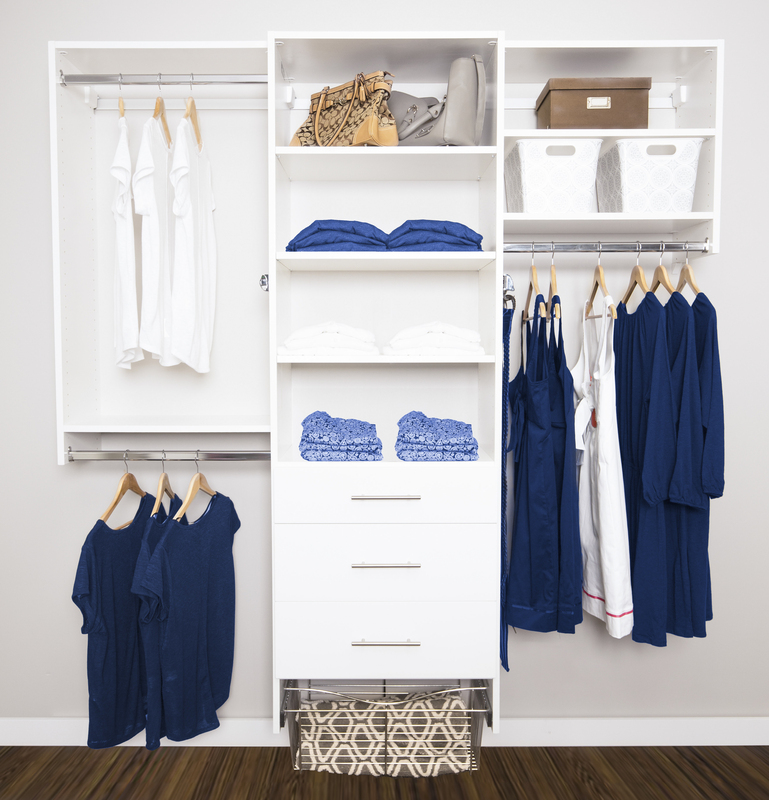 No matter if you are building new, renovating or simply giving your place a refresh, we find a lot of people love the idea of a walk-in closet. The experts at Sunburst Shutters and Closets can work with you to come up with a walk-in closet design that is fully customized to your exact preferences, needs and lifestyle. Large or small our team will design and install a high-quality walk-in closet that maximizes usability and storage space thus making your home more functional. 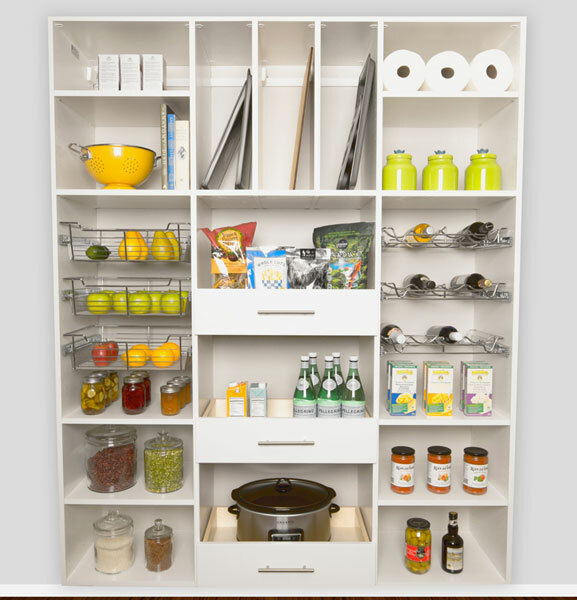 In Vancouver where storage space can be at a premium, a well-designed walk-in closet will be the centerpiece of your daily routine and your secret weapon in keeping your home organized and tidy. The interior of any closet should suit the needs of your day to day life and reflect what you intend to store there. Since no two people or families are the same we will work with you to understand your daily routine, clothing favoured and lifestyle. Do you need extensive space for hanging suits or dresses? Are you active in sports and maybe have need of storage options for special gear? Do you have lots of shoes, got to have storage for shoes and boots, its a must. And just about anything else that might impact your satisfaction with the finished project. They will also be happy to show you what options and custom features are available. Glass shelves or wood, a center island, some bench seating, in drawer lighting, decorative mouldings, pull out accessory holders, well you get the point; there is a lot that you can choose from, and our team will be there to help with the choices and to keep things stress free and manageable. Creating a walk-in closet will definitely depend on the space available, so the first task is clearly the high-level plan and layout. While planning your project, we will help you choose which closet layout is right for you, including considerations such as the lighting and fixtures that you will need inside your closet to make it perfect for your everyday use. At Sunburst Shutters and Closets our closet experts will assist you with establishing and implementing these decisions. You can count on our expertise to help you make choices that will stand the test of time and avoid subtle mistakes that seemed like “cool” ideas but just don’t work in day to day life. Sometimes space or budget means that compromise is required and our team are well versed in helping you understand the tradeoffs of specific options and what might be better alternatives to get the most out of your project. Its surprising just how many people love a walk-in closet. In fact, some owners even sacrifice a bedroom or make a smaller bedroom to give themselves the ultimate closet experience. When two people are sharing space such as the master bedroom walk-ins, work well adding both functional storage, extra space for getting prepared for the workday or evening out and helping keep the bedroom space more orderly and organized. If you see a walk-in closet in your future give us a call! Our friendly experts will be glad to walk you through the options and considerations.